All licenses are perpetual. A renewal can only be applied if you own the EDS Theme and Module Collection - Enterprise. Find more about licensing at the bottom of this page. 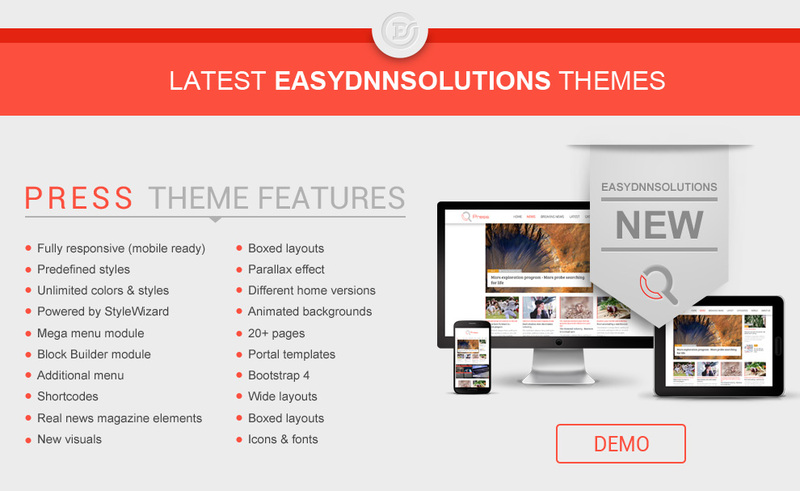 EasyDNNstyleWizard is a DNN module designed to adjust DNN themes developed by EasyDNNsolutions, as well as to adjust predefined themes in EasyDNNnews module. You can use this WYSIWYG tool to change colors, fonts, borders, shading, backgrounds and much more, without having to manually edit CSS. All changes you apply will immediately become visible, and even if something goes wrong and you're not happy with the results, you can always start a new. Do you wish to quickly replicate our demo pages in just a few clicks? Upon installing the skin and modules, all you need to do is import portal template which will make a copy of our demo site to get you going. If you wish, you can also import the dummy content. This truly powerful module is THE solution for all your publishing needs. Even non-technical users will readily publish and manage articles, blogs, events, press releases etc. A wealth of options and a full flexibility make this module perfect to be used across web sites of all sizes, from small blog sites to big online magazines with hundreds of news items and thousands of users daily. The most popular gallery solution in DNN ecosystem. Present your images, videos or audio files in some of the attractive displays. This module can assume the role of a classic web gallery or a social gallery at community web sites. Its modern appearance and integration with social networks will poke your visitors into interactivity and action. Gravity gallery is a next generation gallery. It can be used either as a presentation web gallery or as a community (social) gallery. It is fully responsive and adjusted for displaying on mobile devices' screens. Chameleon gallery is a responsive gallery in slideshow style, with support for images, videos and audio files. Lots of configuration options enable you to fine tune your gallery according to your wishes. Portfolio Pro is a gallery display intended to display portfolios, team members and similar categorized content. It provides support for nested galleries, it has an in-built Lightbox and full screen description. A vide variety of displays for every web site. Make your web site more attractive by means of this module, which provides you with a set of attractive sliders, rotators, carousels or newstickers. Through its user interface you can easily manage the content on display, which is configurable by options in the module's settings. This module can display images, video and HTML. 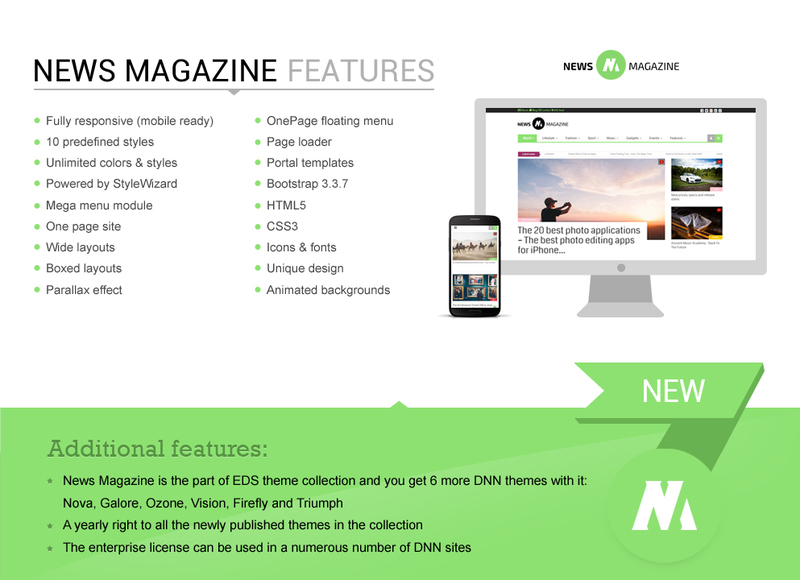 It can effortlessly be configured to display articles or events from the easyDNNnews module. EasyDNNmaps is a module that enables simple adding of Google maps, adding markers, filtering by location (store location function) and detection of user location. Besides being used as a stand-alone module, EasyDNNmaps can work in the integration with our EasyDNNnews module. EasyDNNmailChimp Plus is a module which links your DNN site with MailChimp and allows you to use all the great features offered by MailChimp. 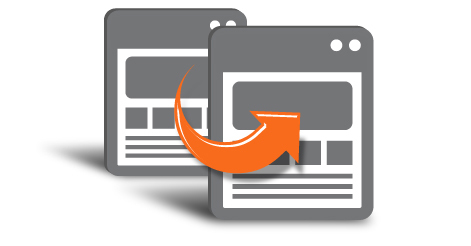 It enables you to use on your website the embedded and pop-up forms which help convert your visitors into subscribers. It can automatically sync registered users from your website with MailChimp lists and groups according to a set-up schedule. It also allows you to display the archive of sent emails at the website. The campaigns can be created directly with the module or with MailChimp. Integration with the EasyDNNnews module is also interesting, as you can automatically send campaigns from new posts published in the EasyDNNnews module. EasyDNN Simple Forum is a next generation forum and the only one of its kind. The era of classic forums is over and they are often left empty and abandoned. Discussions and communication have moved to social networks. That is why EasyDNN Simple Forum connects two worlds. It has all the key features any forum has, but comments in discussions are Facebook comments, which means that any Facebook user may leave a comment without having to register and log in. EasyDNN Simple Forum makes it easy for you to build a community on your forum in a brief period of time. Installing and configuring is simple and adding this great feature to your web site will take only about 10 minutes. Possible applications are diverse: community forum, Q&A, helpdesk, etc. Our modules work as independent modules, but they are also good at cooperating with and supplementing one another. Thus, the EasyDNNgallery module will enhance media management in the EasyDNNnews module, while the EasyDNNrotator module will automatically display articles from the EasyDNNnews module. About license: The enterprise license is a perpetual license what means that you can use the installed and activated modules indefinitely without paying any additional fee. During the subscription period of 1 year you can access the latest versions of the software. When the subscription period ends, you are no longer able to download new product versions or activate the module and themes. 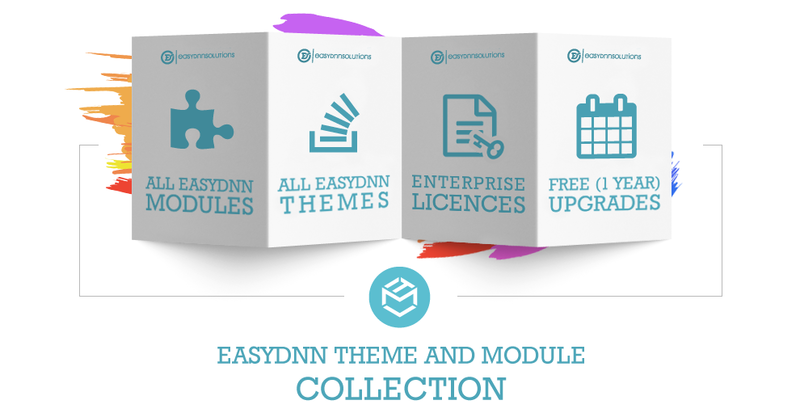 Module & themes usage: The enterprise license allows the activation and use on an unlimited number of DNN portals and installations owned by you or your clients you develop web pages for. Web design & development companies are entitled to use the enterprise license in order to install and activate the module at their clients' web pages. 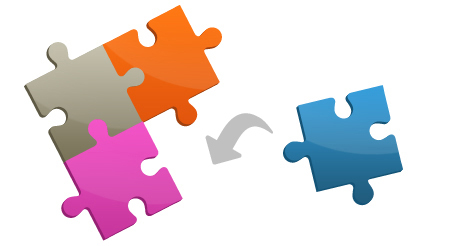 Modules cannot be resold or redistributed to other organizations, companies or individuals. Hosting companies aren't entitled to offer pre-installed modules in their packages. Upgrading modules to new versions: Buying the enterprise license entitles you to freely upgrade the software to each new version we publish within 365 days upon purchase. After 365 days, you can buy an upgrade for the enterprise license. 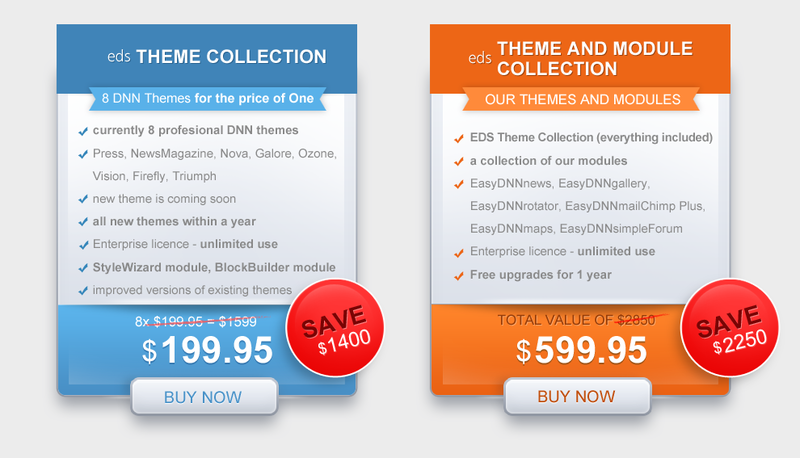 The upgrade can be purchased at any time for up to two years after buying a Theme&module collection. now with a total of 9 styles, 7 headers and 6 footers for a total of 378 combination. With the help of StyleWizard you can create unlimited number of your own styles and combinations. With 5 other themes in the collection and lots of styles, headers and footers you can choose between several thousands of combinations for your perfect website. 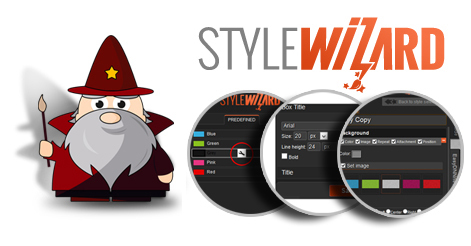 StyleWizard 4.0 - StyleWizard 4.0 now has the Global colors option. By using this option you can change the main colors of all elements in one place. 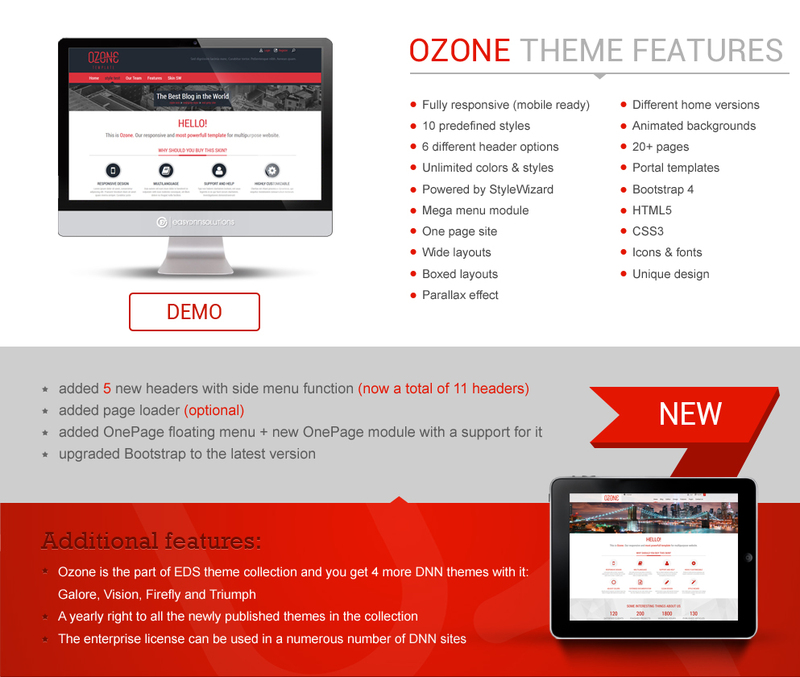 The option is available in Ozone, Galore, Nova and NewsMagazine themes. 1. 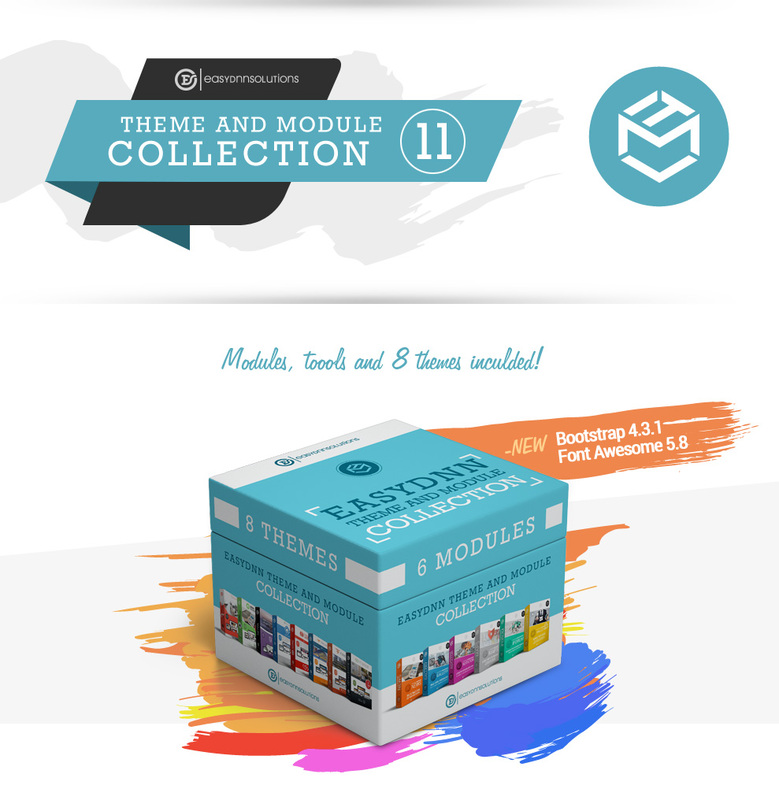 If I buy both themes and modules together in this collection, do I have to use the modules along with the themes from the collection? All our modules function independently and you can use them in combination with any skin whatsoever. 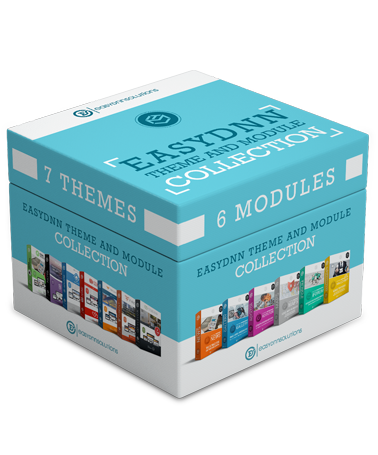 We see our collection of themes and modules as tools you can use any time you need them. 2. I already have your modules, which I have purchased individually. Can I use them with the skin collection? Yes, you can. You can buy modules individually, or as a part of collection. 3. What does the one-year subscription really mean? Our one-year subscription in this particular case means as follows. 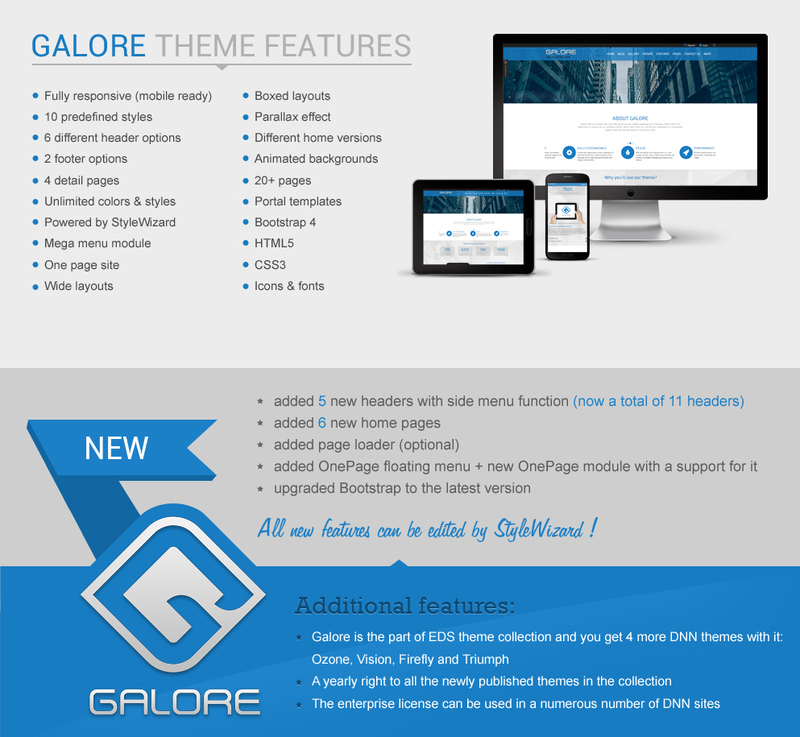 During the one-year period, you will receive all the new themes we are going to publish. You will also gain access to enhanced versions of themes currently in the collection. If you also purchased our modules collection, you will also receive the new versions of the modules from the collection for a full year. 4. Will I be able to use the themes and modules after my subscription runs out? Yes, they will. The enterprise license is a perpetual license what means that you can use the installed and activated modules and themes indefinitely without paying any additional fee. During the subscription period of 1 year you can access the latest versions of the products. When the subscription period ends, you are no longer able to download new product versions and activate the products. 5. Can I just use the themes collection without your modules? Yes, you can. However, the wealth of functionalities you can see at our demo pages has been achieved by using our modules. With these modules you have an instant working solution. Blogs, events, galleries, catalogs and many other functionalities can instantly become ready to be used. We do not merely provide dummy HTML displays, we provide actual solutions that are managed by means of modules. 6. What rights does the Enterprise License provide? The Enterprise License allows you to use modules and themes on an unlimited number of DNN installations and portals. You can use modules and themes for the needs of your company or organization, as well as for the projects you do for your clients. Giving third parties an access to modules and themes is not permitted. 7. Do you have trial versions? Free trial versions of our modules can be downloaded from our web site. Unfortunately, we aren't in position to allow the trial versions of themes due to their technical nature. 8. Am I entitled to customer support? Yes, of course. You are entitled to free customer support available at our web pages, or by sending an inquiry to our email [email protected] . We provide user support via email. You are entitled to full user support for 2 years from the date of this collection's purchase. 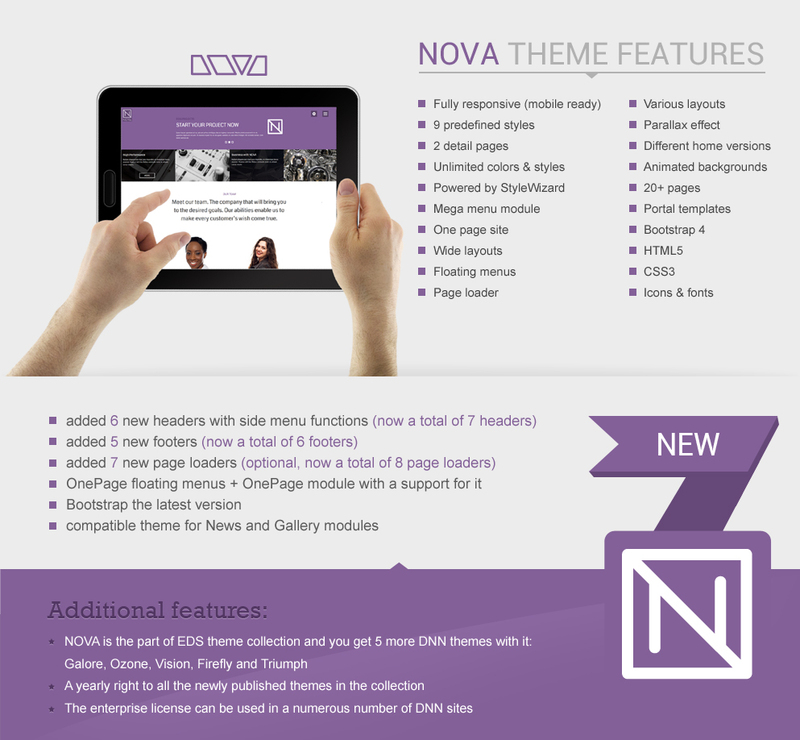 The themes in the collection are DNN 7.3+, DNN 8 and DNN 9 compatible. The modules in the collection are compatible with DNN 6.2+, DNN 7, DNN 8 and DNN 9. The collection is Azure compatible.